As the perfect complement to our rope barrier our red rope is deluxe, heavy and gives a glamourous and sophisticated look to your events. Clipping seamlessly on to our posts choose this option to get ultra-glitzy crowd management and designate specific VIP areas or create a wow factor at the entrance to your venue. Crowd management has been a technique to keep people safe and events running smoothly since people first began to gather in groups, but the barriers that help this process only became invented in the last two hundred years. We have a fantastic modern and stylish range on offer for those premium occasions. Many people thank a French photographer for the creation of posts that were designed to keep spectators, visitors and guests in defined areas. Called Nadar, the inventor pursued many hobbies, which included drawing caricatures, writing novels and piloting hot air balloons! It might seem a very varied mixture of activities, but he was known for all of these pastimes, as well as the creator of the first crowd control barriers in 1864. These days, crowd management is often a necessity when it comes to events, with some companies bound to hire these kinds of products whether their occasion is large or on the smaller side. Nadar wasn’t bound by regulations like many companies are today, he just decided to erect some barriers when he flew his Le Geant - translates as the giant - balloon to Brussels to reduce the chance of accidents. As the name suggests this was a very large balloon, measuring 6,000 metres cubed. To make sure that visitors to the landing site didn’t stray into its path when landing he erected some mobile barriers. Barriers… wherever you need them! This was a major turning point for crowd control, because not only did he show how useful crowd management can be, but he created a product that was mobile. The features of his invention caught on with lots of companies and organisation, and the fact that they’re still referred to as Nadar Barriers in some parts of the world show what a landmark creation he came up with. In time, the products moved from being made to wood, to metal, and their sturdiness and reliability ensured they were installed across many venues and events, from the Olympics, to airports and many more locations. Because Nadar’s and later inventions were mobile, it meant that barriers became a lot more practical for a range of clients. In fact, this benefit is still valued today, with our customers regularly ordering lots of our stretch barriers and ropes and poles from our furniture hire London stocks. Our product line is designed with full mobility in mind, and they can be easily moved in locations, so you can create the perfect crowd management system for your needs. In the 1860s, Nadar used his barriers to keep visitors safe, and this is still a common use for them today. When large crowds are expected at your event, our barriers can be used to highlight zones where they ought to stand and keep them out of the paths of any dangers - including hot air balloons! Our ropes and poles are also fantastic when you’d like really smooth crowd management, as you can place them in parallel lines for queuing. Another great feature of our furniture hire London ropes and poles, is that they are ideal for when you’re operating one-in one-out systems. The clip integrated to the red rope unfastens and fastens in just a few seconds, so guests are emitted smoothly and quickly. As well as assisting with entry and exit of visitors, our red ropes and poles look fantastic too. 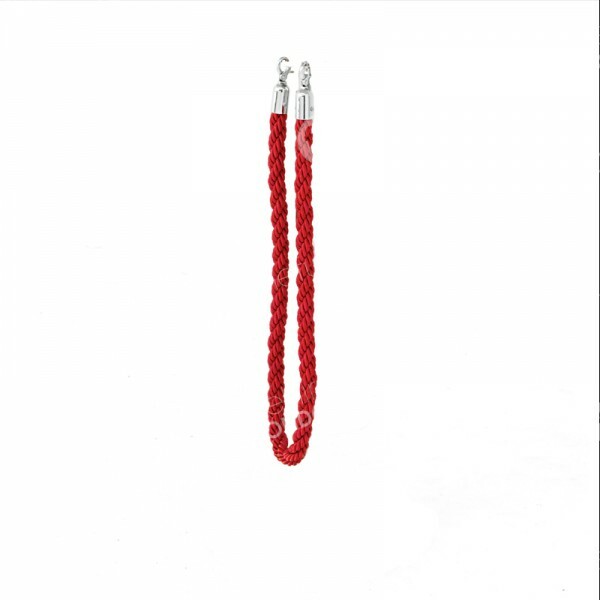 The chrome post is stylish, while the braided rope adds a deluxe element to the whole ensemble. Although these furniture hire London products look very elegant, you can trust them to be very robust too. 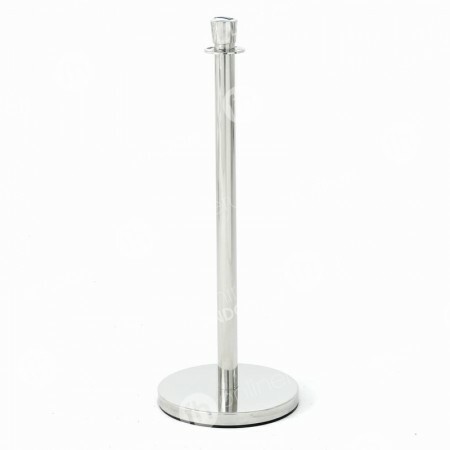 This is down to the sturdy post, which keeps the product very steady, without making it difficult to move the item. Because of the stylish appearance of our red ropes and poles, they’re often chosen from our furniture hire London range for red carpet, VIP and celebrity events. We also have chrome or black stretch barriers. What’s the best barrier for my VIP occasion? The rope barriers and red post is very glamorous, and perfect for your VIP occasions. Do the ropes fit quickly to the posts? Very quickly. They simply unclip in seconds, perfect when you need them outside entrances.